Believe it or not choreography is already being finalized for the Super Bowl Halftime Show. With millions of people watching there is a lot of pressure on the dancers. So they will need to be trained by a perfectionist. To do that Pepsi is calling in a specialist. Not only Pepsi is returning again as sponsor of the Pepsi Super Bowl 50 Halftime Show, but they are bringing fans exciting content and experiences to get them closer to the action. 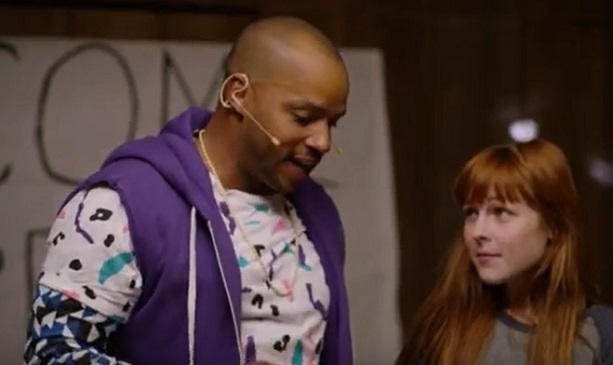 To pay homage to one of the biggest pop-culture moments of the year, Pepsi released the first episode of its new online series “Camp Halftime,” featuring actor/comedian Donald Faison. In this video, Donald Faison plays head camp counselor Martin Tulane where he hilariously showcases all of the elements that go into producing the Pepsi Super Bowl Halftime Show. The four-part comedic series, filmed in partnership with The Kicker will continue to rollout every Wednesday leading up to the Super Bowl on Pepsi.com and Youtube.com/Pepsi. 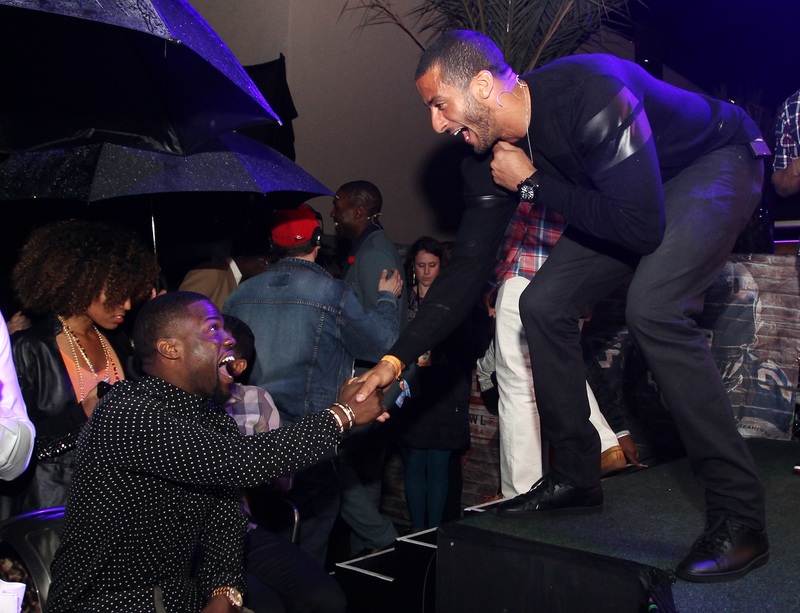 The annual first staple party of Super Bowl week, EA SPORTS’ Madden Bowl XXI, at Live Wire/Bottled Blonde in Scottsdale, was one of the best Madden Bowls to date. 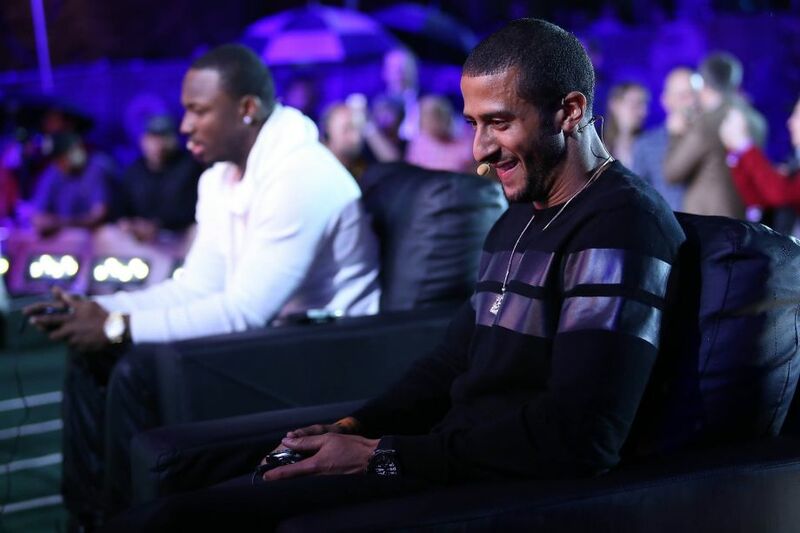 Madden Bowl XXI saw top NFL players go head to head, competing in Madden NFL 25 on Xbox One. In a heated battle, the Arizona Cardinals’ Patrick Peterson was crowned Madden Bowl XXI champion, beating out last year’s champion, the Eagles’ LeSean McCoy, for the title. Mountain Dew believes that every epic adventure should have an equally epic kick start. Today, the brand introduced two new bold flavors of Mtn Dew Kickstart – Pineapple Orange Mango and Strawberry Kiwi – fusing an energizing blast of DEW® with real fruit juice, coconut water and just the right amount of kick. With only 60 calories per 12 oz. can, these two new flavors are perfect for sparking a damn good time, anytime, anywhere. To kick-off the launch and show DEW Nation how everything gets pumped up when you crack open a can, Mtn Dew Kickstart will premiere its “Come Alive” television commercial, featuring “Out The Speakers Feat Rich Kidz” by A-Trak and Milo & Otis and So You Think You Can Dance alum D-Trix, during the Super Bowl XLIX Pre-Game Show. 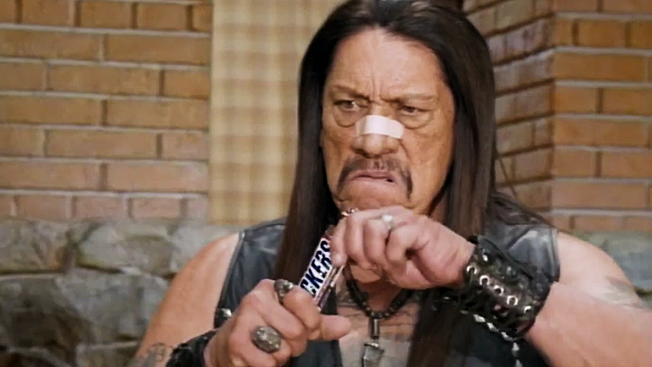 Snickers plans to make a hilarious return to the Big Game with their star-studded new Super Bowl commercial. The ad, released today, stars Boardwalk Empire’s Steve Buscemi as Jan Brady, and Sons of Anarchy and Breaking Bad action star Danny Trejo. Super Bowl Media Day is today and one of the biggest stories is whether the world will hear what’s on Seattle Seahawks star (and Skittles superfan) Marshawn Lynch’s mind. Well, thanks to Skittles, the wait is over: Lynch held a one-man press conference for Skittles and fielded every tough question The Rainbow had to offer, addressing everything from what his famous “Beast Mode” feels like to his fondness for cat videos, and so much more. As the exclusive category advertiser for Super Bowl XLIX, Anheuser-Busch today announced it will feature three ads spotlighting two marquee brands during the NBC broadcast on Sunday, Feb. 1. 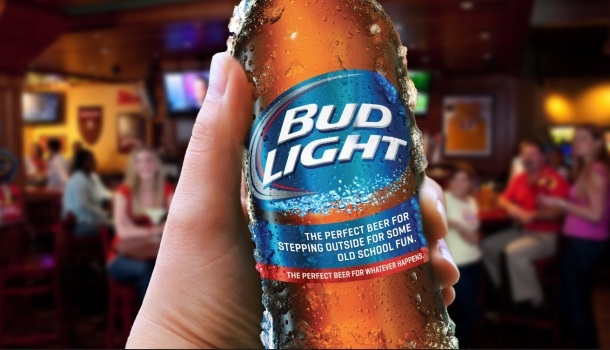 Budweiser and Bud Light will represent Anheuser-Busch with new creative. Anheuser-Busch’s flagship brand, Budweiser, will debut a 60-second ad that highlights the brewing credentials for America’s No. 1 full-flavored lager. 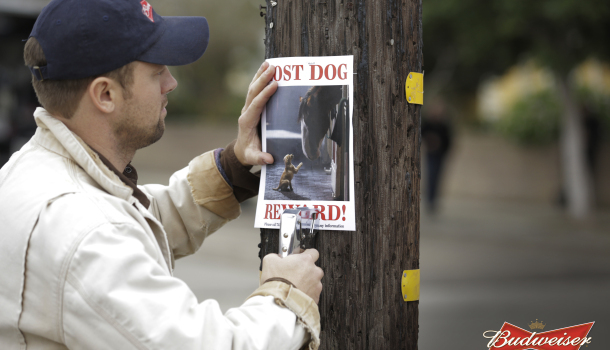 The second Budweiser ad, “Lost Dog,” will feature the world-famous Budweiser Clydesdales and their favorite companion. In the spot, the Budweiser Clydesdales will tell an emotional story and help a puppy who has lost his way learn the true meaning of friendship. The creative agency for both Budweiser spots is Anomaly. As the “Perfect Beer for Whatever Happens,” Bud Light will bring the unexpected to Super Bowl XLIX. Because Skittles couldn’t wait to kick off its first-ever official Super Bowl season, the brand hosted the most awesome tailgate in the vacant parking lot of the site of Super Bowl XLIX – nearly four weeks before football’s grand finale. 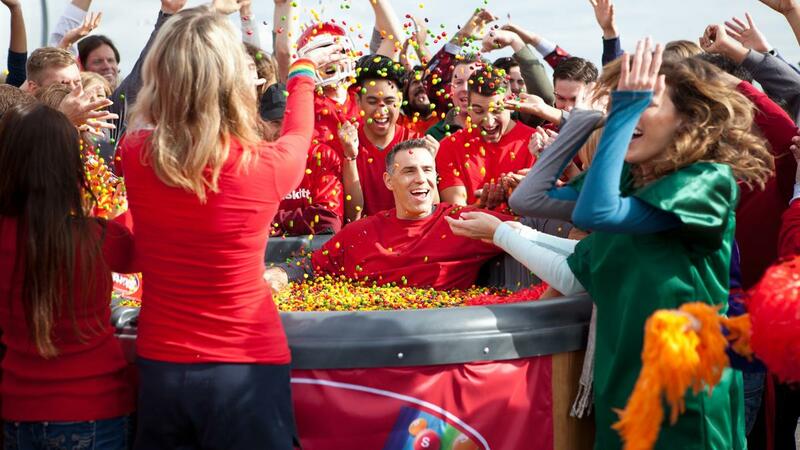 Skittles invited Super Bowl legend and Arizonan, Kurt Warner, and some diehard fans to experience a Skittles-style tailgate party. Even before Marshall Faulk played in the NFL many knew that he was going to be a superstar in the league. In college at San Diego State University Marshall was a three-time All-American. The Indianapolis Colts drafted him as the second overall pick in the 1994 NFL Draft. After his time with the Colts, he played for the St. Louis Rams. 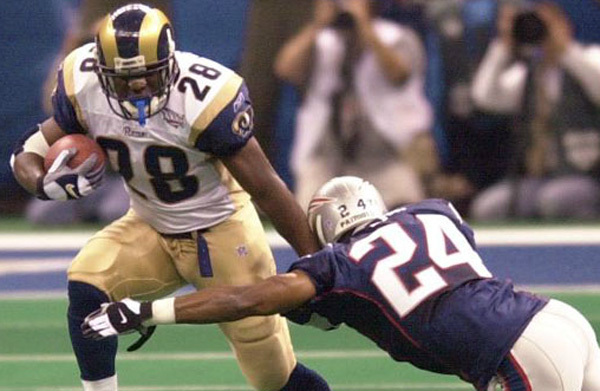 Faulk is one of only three NFL players with at least 10,000 rushing yards and 5,000 receiving yards. Marshall has been named the league MVP, helped the Rams win Super Bowl XXXIV, and was selected seven times for the Pro Bowl. He was elected to the Pro Football Hall of Fame in 2011. Faulk can be seen on TV shows such as “NFL Total Access,” “Thursday Night Football,” and “NFL GameDay Morning” on the NFL Network. Before Super Bowl weekend I caught up with Marshall. He was working with Verizon to promote the “Who’s Gonna Win?” campaign in connection with the Empire State Building. Besides talking about that promotion we did chat about this year’s match up between the Seahawks and Broncos, his time in the NFL, and his induction into the Hall of Fame. Art Eddy: You are part of Verizon’s “Who’s Gonna Win?” program, the first-ever social media-driven light show on the world’s most iconic building, the Empire State Building. Tell me a little about that promotion? Marshall Faulk: This whole “Who’s Gonna Win?” campaign is an initiative by Verizon. They are powering up the Empire State Building. 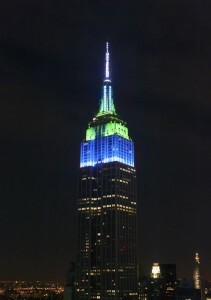 Fans can help decide if their team’s colors will go up on the Empire State Building. It is a pretty cool program. Each day is going to be a different program leading up to Saturday. Obviously everyone wants to know who is going to win. That is the interesting thing to see. Which team’s fans will get more involved and how many hashtags will be for Seattle or Denver is going to come into play. We will find out when the Empire State Building will be lit up. AE: It sounds like a very cool program. Who do you think will win the Super Bowl? Broncos or Seahawks? MF: I think it can go either way. I don’t have a favorite. Usually you can look at the numbers or watch how they play common opponents. It is so tough to tell. I keep telling people that only because Peyton (Manning) is a friend of mine that I just want to see him win another Super Bowl. Outside of that I really don’t know. I am not going to lie. AE: Speaking of the Super Bowl you had the great fortune of playing in two of them. What was the week leading up to the game like? MF: You want to say that it is all business. You are trying to have a normal week. Last night I saw that a bunch of players from the Seahawks have a team event. They showed some support for the (Brooklyn) Nets by going to the game. Those are the kind of things you want to do. Dinners, going to a basketball game, just things like that with your teammates. Keep it in a team atmosphere. If you have family here, have dinner with your family. You don’t want to be that guy who is drawing negative attention to your team. That is what we are waiting for. We are in the media. We are trying to see who is going to be the idiot to try and do something stupid. AE: When did the nerves go away when you played in your first Super Bowl? You hyperventilate. You catch your breath. Probably the second series after you get a hit a couple times and had a few times touching the ball. AE: With everything that you have accomplished in your phenomenal career from MVP awards to a Super Bowl win what is the number one thing you take away from your time in the league? MF: Winning the Super Bowl. I am telling you that it is the hardest championship to win. It requires all hands on deck. When you are on the field 11 guys must be pulling towards the same goal. It is the greatest team sport ever. It is the greatest sport ever. I just love how fun it is to win a championship. The one thing that you know about our game and I love this as well, the best team doesn’t always win. It is the best team on that day. In other sports you get seven games to get it right. In our game you get one game to get it right. AE: Can you imagine playing the best of seven for a Super Bowl? It would be crazy right? AE: After your time in the NFL you got the call that you would be inducted into the Pro Football Hall of Fame. What was the first thing that entered your mind when you got the news? MF: I will take you through the whole process. When you first hear that you are on the ballot you are kind of nonchalant about it. It gets down to 35 and you are like alright. When it gets down to 15 you are pretty good. The week of the Super Bowl and pretty much that Saturday was when I started having the pregame jitters feeling. They are calling names. I am standing up there. My hands are sweaty. My heart is beating. I am saying to myself you can’t go in the game. You are not playing, but that natural feeling of anticipation or excitement that you have when things are out of your control when you can’t do anything about it. That was what it was. I was quite relieved that my last name ends in F and it was called early out on the list. It was a good day to hear my name called. I will say that. 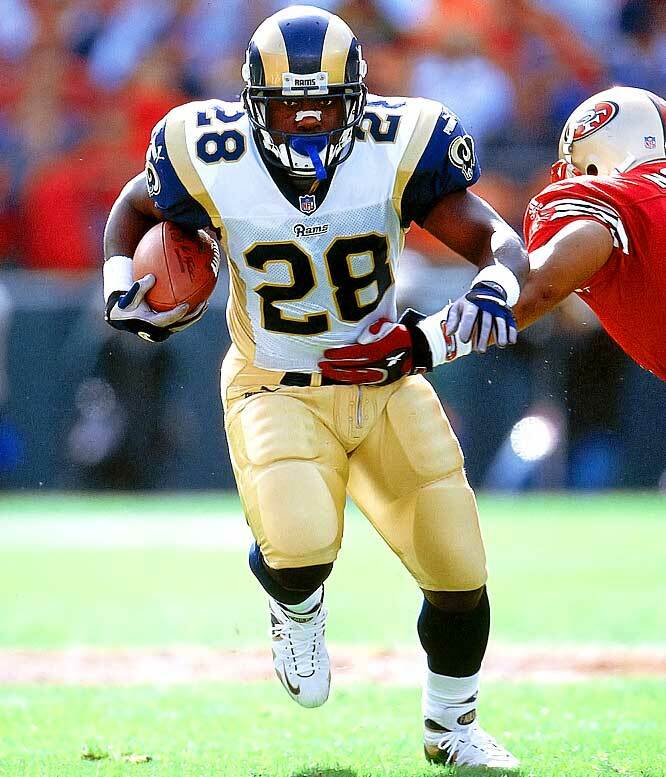 AE: You and your teammates on the St. Louis Rams had a sick nickname, “The Greatest Show on Turf.” What was it like to play with guys like Kurt Warner, Isaac Bruce, Torry Holt, and the rest of that high powered offense? MF: It was fun. I enjoyed playing with those guys. As much fun as it was the one thing that we talk about when we see each other like we did at the Pro Bowl recently. Ricky Proehl, who is now the Carolina Panthers receivers coach, was at the Pro Bowl because the Panthers coaching staff was there for the Pro Bowl. We just started talking once again. Ernie Conwell, he works for the NFLPA. Me, him, and Ricky were having the same conversation. We always talk about it. The one thing that continues to come up about it is how unselfish we were. When I look at the Denver Broncos that is what you get from them. They really don’t care who is catching the touchdowns, who is catching the passes, who is getting the yards, or who is getting the accolades. It is all about a team goal. It is hard to get that especially from receivers. We had it. It was special. I definitely enjoyed playing with those guys. We talk about it. I always point to Ricky Proehl. The year before Ricky led the team in receptions, receiving yards, and receiving touchdowns. The year we won the Super Bowl he catches one touchdown. It was touchdown that sent us to the Super Bowl against Tampa in the NFC Championship. He doesn’t say a word about it the whole season. That is the unselfishness you need in order to win games like that. This week Verizon is getting you involved in Super Bowl Week with #WhosGonnaWin. Fans have enjoyed watching NFL teams light up scoreboards all season long, but during Super Bowl week, fans will be the ones lighting up the Empire State Building as part of Verizon’s WhosGonnaWin program, the first-ever social media-driven light show on the world’s most iconic building, in partnership with Empire State Realty Trust. 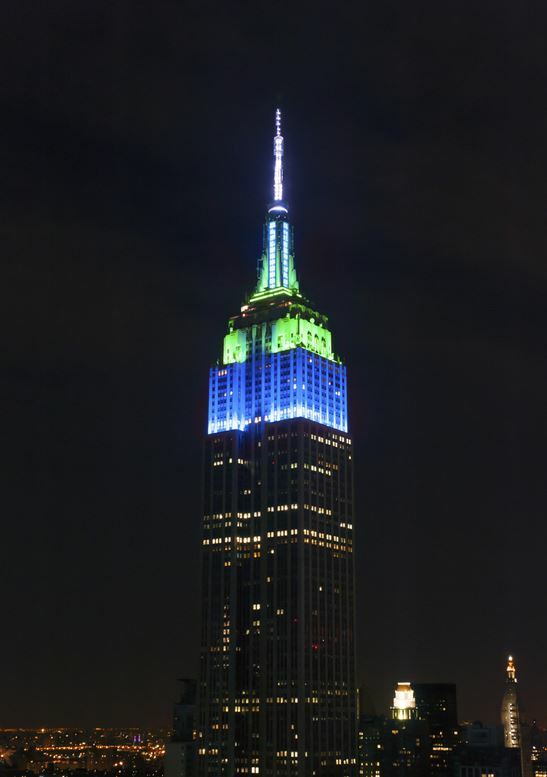 The five-night series, curated by the Empire State Building’s world-renowned lighting designer Marc Brickman, will showcase the colors of the two Super Bowl XLVIII teams, the Denver Broncos and the Seattle Seahawks, based on fans’ tweets to the question #WhosGonnaWin. Flipping the switch nightly will be current NFL stars Drew Brees and Matt Forte, along with NFL Hall of Famers Barry Sanders, Curtis Martin and Marshall Faulk, who will be flipping the switch on Tuesday to start the show. Each day leading up to the Super Bowl, Verizon will pose a game-related question on Twitter to fans using the custom hashtag #WhosGonnaWin. The Twitter conversations surrounding the questions will be tracked throughout the day, and Verizon will turn the fans’ predictions into a spectacular nightly light show. The show will begin at 6 p.m. each evening, and open with a ceremony of lights celebrating the colors of all 32 NFL teams. The opening ceremony will end in Verizon’s iconic red. At 6:55 p.m., the results show, an orchestrated visual concert set to music provided by NFL Films will begin. The show will be comprised of real-time data from the day’s conversation which will be translated into a stunning sequence, with the colors of the winning team ebbing and flowing depending on the votes throughout the day. The colors of the team which was the most prominent in the conversation during the day will dominate the skyline for the rest of the evening. The entire results show will be live-streamed at WhosGonnaWin.com and on NFL Mobile. 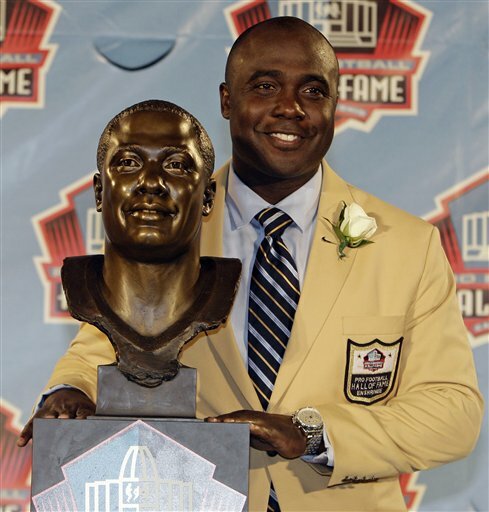 Today I spoke with Pro Football Hall of Fame running back Marshall Faulk on which team will dominate defensively. On paper everyone is thinking that the Seahawks have the defensive edge. When I asked Marshall who he thought would win the Super Bowl he gave told me it is anyone’s game. “I think it can go either way. I don’t have a favorite. Usually you can look at the numbers or watch how they play common opponents. It is so tough to tell. I keep telling people that only because Peyton (Manning) is a friend of mine that I just want to see him win another Super Bowl. Follow Marshall Faulk at @marshallfaulk and go to WhosGonnaWin.com to make your voice heard! Look out next week for my entire interview with Marshall. We discuss his playing days, Super Bowl and MVP titles and more. There are a lot of firsts surrounding the big game this year – the first time it’s being played in NJ, the first potential game in the snow and the largest age gap between quarterbacks in history. While you’re probably used to watching the game with a beer in your hand, why don’t you ditch the beer and drink whiskey or rum in honor of the most watched football matchup of the year? Below are some delicious food and drink recipes that incorporate three epic whiskeys – Crown Royal, Bulleit, and George Dickel. 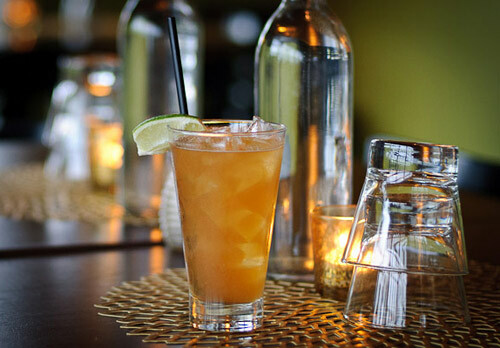 Also below are the new Captain Morgan Rum-inspired recipes developed by celebrity chef Hugh Acheson. Whether you’re watching the actual game, halftime show or commercials, these recipes are the ticket to a good party. Preparation: In a large bowl, combine whisky, honey, soy sauce, chili sauce, stir-fry seasoning, and garlic. Add drumettes, tossing to coat. Cover with plastic wrap and marinate in refrigerator for at least 3 hours, preferably overnight. Why it’s great for the big game: Looking to kick your appetizers up a notch? 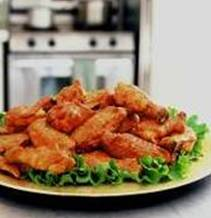 These Crown Royal-wings are a guaranteed hit at the party with a mouthwatering whisky-infused sauce. Preparation: Preheat the oven to 425°F. Heat a large cast-iron skillet in the oven for 5 to 10 minutes. Rinse and pat the wings dry with paper towels, then separate the wings from the drumsticks and discard the tips. In a large mixing bowl, dress the wings with the sea salt and peanut oil. Add them to the cast-iron pan in 1 layer to assure even cooking and roast the wings for 20 minutes. Turn each wing and continue roasting for an additional 15 – 20 minutes. For the glaze, add the Captain Morgan® Original Spiced Rum to a small saucepot and reduce over medium heat, about 10 minutes or until the liquid is reduce by half. In a small bowl, combine the cornstarch with the warm water and set it aside. Add the sherry vinegar and the chili flake to the rum and continue to cook for 5 minutes. Reduce the heat to low. Add the cornstarch slurry and stir the glaze until it becomes thick. Remove the glaze from the heat and add the cold butter, 1 tablespoon at a time, stirring until it is completely incorporated. Set the glaze aside for later use. For the dressing, in a small mixing bowl, combine the mayo, buttermilk, and the zest and juice from 1 lemon. Mix together with a whisk until smooth and incorporated. Next add the shallot, garlic, carrot fronds and 1 tablespoon of the sliced scallions. Mix until combined and reserve. To finish the wings, turn the oven to broil and crisp each side of the wing for about 1 to 2 minutes per side. Take them out of the oven and place them onto a plate lined with a paper towel to drain off any rendered fat. Place the wings in a mixing bowl and add the reserved glaze. Toss the wings in the glaze to thoroughly coat each one. To plate, sprinkle the wings with the remaining scallions and serve them with a bowl of the dressing and the carrots. 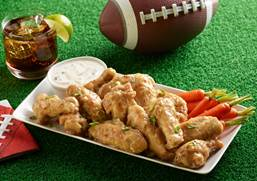 Why it’s great for the big game: Everyone loves variety, so add a little Captain Morgan to this wing recipe and spice up your football viewing party. 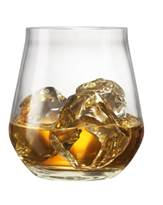 Preparation: Pour Crown Royal XO over an ice-filled rocks glass. Why it’s great for the big game: The newest addition to the Crown Royal family, this extraordinary whiskey is finished in cognac casks and handcrafted for smoothness. Raise a glass to an extraordinary play with XO on the rocks. Why it’s great for the big game: Bite the Bulleit with the BLT – with just three ingredients anyone can make this cocktail with no chance of botching. Preparation: Build in glass and serve in a rocks glass. Why it’s great for the big game: A perfect balance of flavors, the Dickel Ward can make the halftime show even more enjoyable. Preparation: Rinse a small thermos with warm water and then dump out the water. Into the thermos pour the Captain Morgan Original Spiced Rum, Bulleit Bourbon, Sherry, and Clove and Vanilla Syrup. Stir to combine. Top with hot water. Gently stir. Cap until ready to serve. 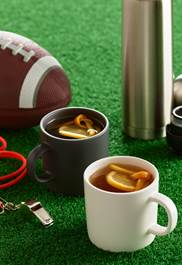 Pour the Grog into two small 6 to 8 ounce mugs and garnish each with a strip of orange zest and a round of meyer lemon that is gently squeezed over the top to release a little acid. Drink. Preparation: In a small saucepot, bring the water, cloves, vanilla bean and seeds to a boil. Reduce the heat to a simmer for about 10 minutes and then add the sugar and stir to dissolve. Remove from the heat and allow the vanilla and cloves to steep in the syrup for about five minutes before straining.